NOOOOOOOOOOOOOOOOOOOOOOOOOOOOOOOOOOOO, i'm not slowing down,wel a bit then. still waiting for decals,but sprayed the clear varnish as i told before,but didn't went back to the shop jet. This thread open for posting again - hopefully!! Well Mark, if we wait for that lazy Dutchie to post something we'll wait for ever. I'll try it out. So, my good man, you tried out the new varnish but it turned brown. I don't think you have been back to the shop about it yet. Ifnotwhynot????? In April you said you had the decals, then in May you needed two. Have you got them yet? And what about your friend who wanted one of the models you are doing? There's no gardening to do now and it's time you stopped watching so much TV. You are letting all that careful work that you are so very good at go to waste. bought me another brand of varnish when i told on the forum about the problems i got. someone told me that he uses the motip brand varnish and that he didn't have problems with it. 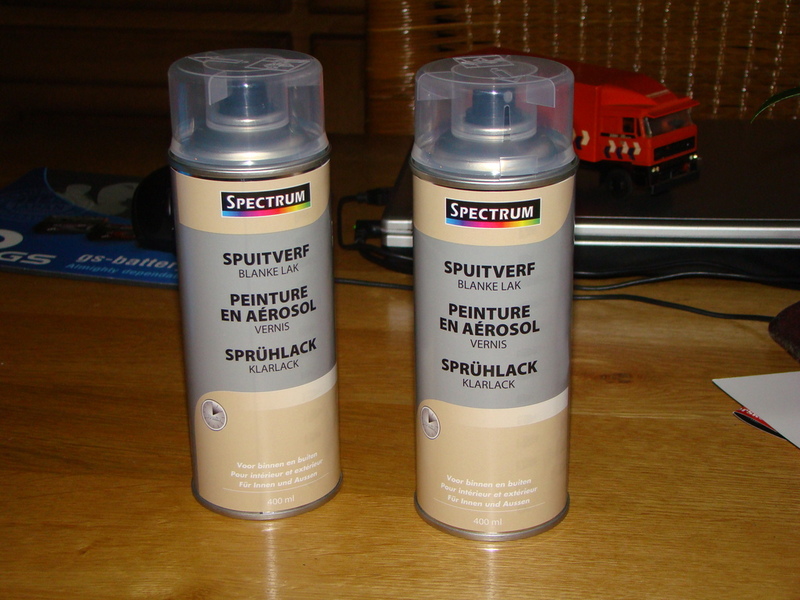 so went to the paintstore,and they told me; weird because motip and duplicolor is from the same factory. 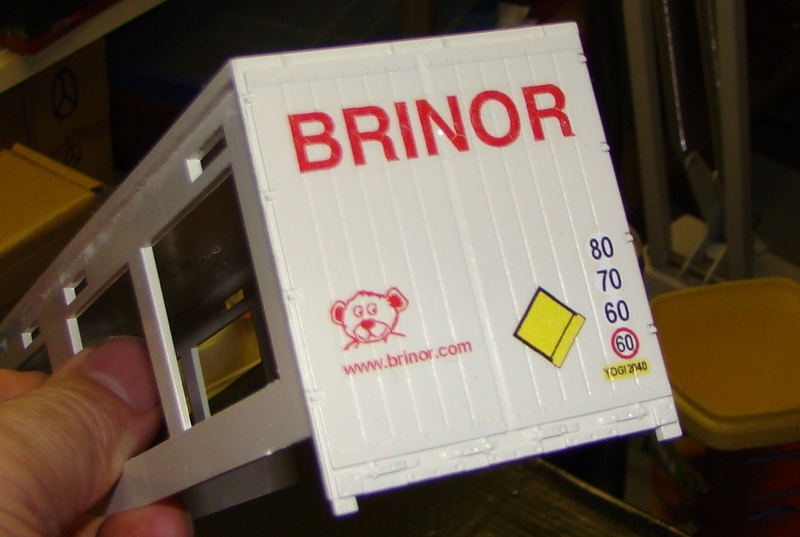 look for a shop that sale that brand and tryed it, sprayed the ruined trailer cab for a part white,taped a part of it and sprayed the whole piece in the varnish. so back to the paintstore showed it to them,and they will contact there paintseller about this. after weeks they phoned me that the seller finally make contact and told me that the problem was on my side. that i didn't use plastic primer,the shop know me for years for the modelbuilding isseu,and told him that they are sure enough that i would have use primer. but i had already bought 7 total useles cans,wich 1 of them was still closed, (i bought new ones,in the hoop that the bad part of varnish was gone) the new can was already brought back and got my money back,the other 6 cans ,which where used but al worthless, i got a refund for 5 new cans of motip. so just for me they have now motip in there shop aswel. this morning i sprayed one trailer hood with it,to see how it went. yes i know i already made a test spray with it,also on a decal part of the hood,in matter of speaking ,the whole hood. so fingers crossed and look for it this evening. meanwhile is the ''brown'' colored hood in the Mr.Muscle ovencleaner,for paintremoval. it's plastic,so can't throw it in the thinner. (how does this work now,to go to a other post,typed in bleu?) i went up to see how it was,because sunday eve it didn't look good,looks like the varnish was eaten and rumbeld up the decals. 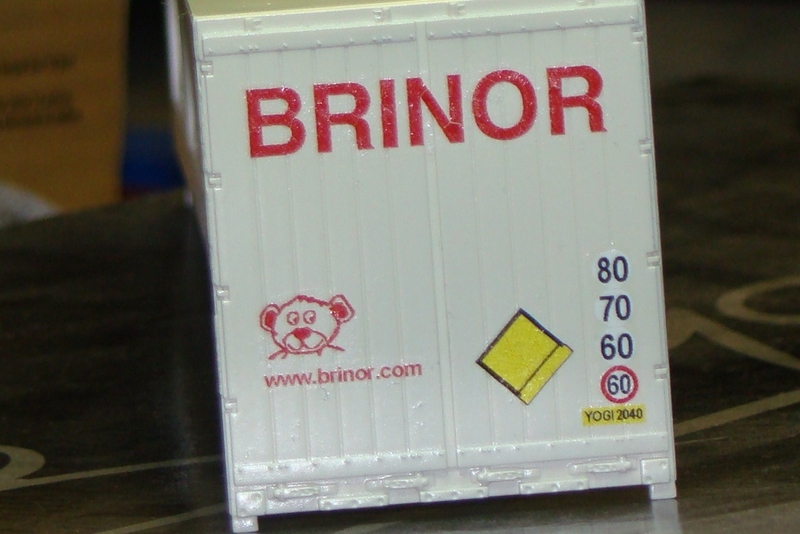 you can see that at the big brinor word the latter N is broken ,but also the others,but finer broken lines in it. also it issn't flat,so at the end i can say,motip is not a good one for it. in the hoop that it would finally went wel.fingers crossed. so i can clean 2 trailer hoods now,spray them again place decals and hoop that the cheap stuff finally works well. last week there was a modecae fair again,just go there for looking not specially for buying some thing,but most of all,for the decal guy. he wassn't there that day,so no decals,or even a talk with him in the hoop that i would have them for christams,i'm free for 2 weeks,but ask for a thirdt week. 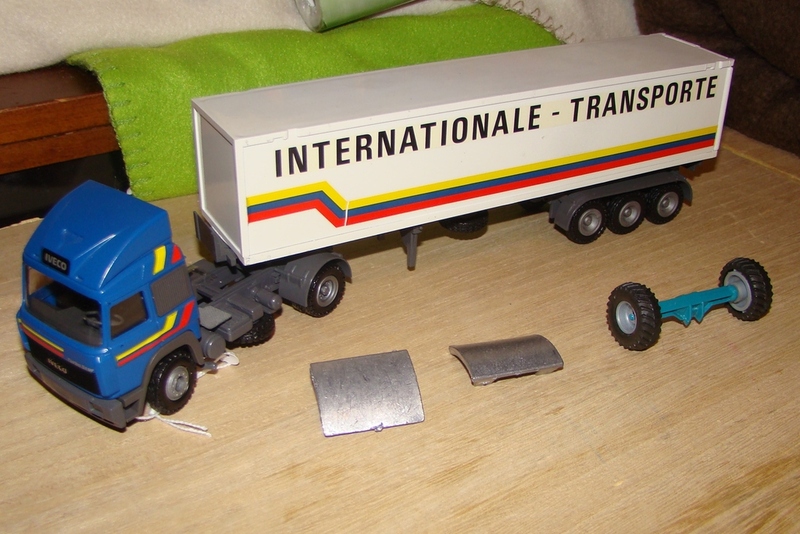 a Iveco Turbostar,a truck which i have driven and also to see at page 1 post 4,and want to rebuildit as a containertruck from my first boss. 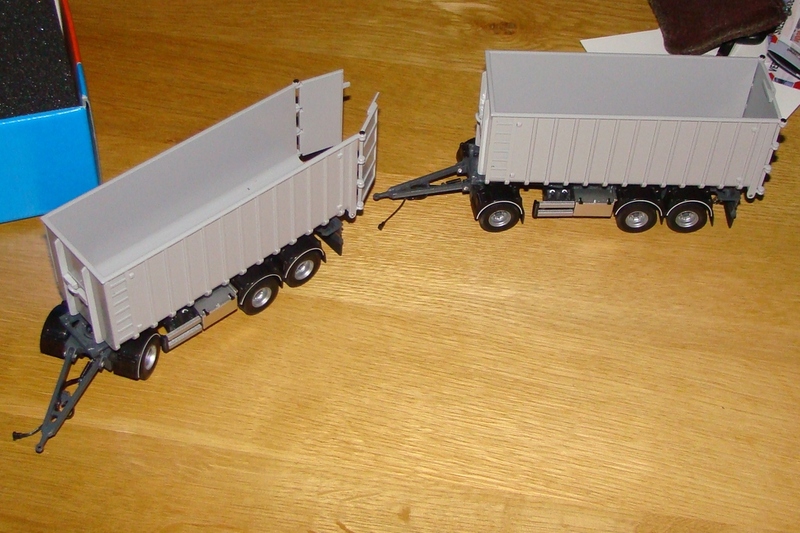 also 2 roofspoilers and a axle with wheels,just for when i want to build another truckpull truck,very hard to find wheel that match,these come close. today here nearby there was a truckers Christmas event,a little show with a truckers market. 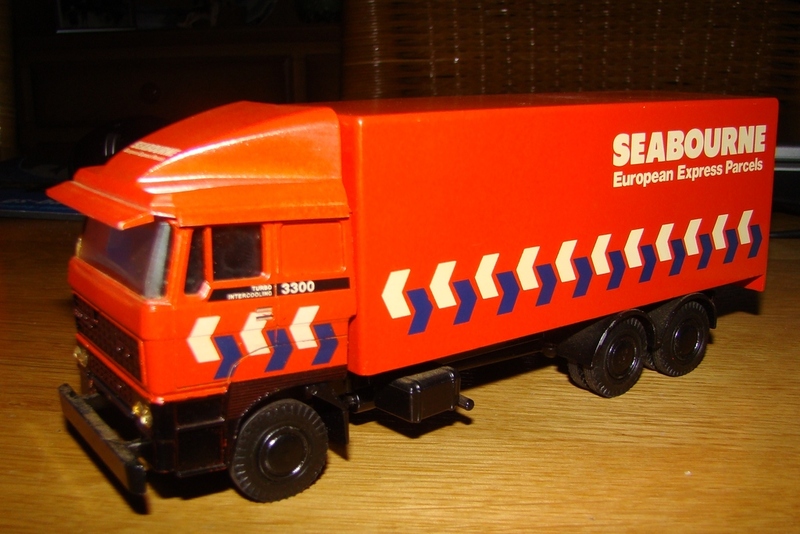 there i bought a old DAF truck,i only need the cab and the chassis,the rest is useless. also bought 2 trailers with containers. 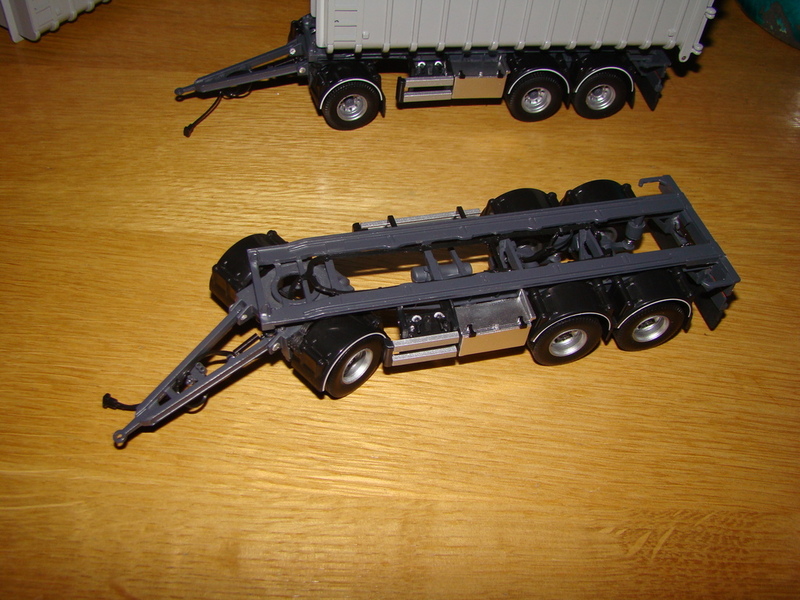 the planning is to use them for the iveco after making the chassis longer and the second one for behind the daf for a company here from Giessen,so there i only need to make the container system to build on. those chassis won't be correct as the real ones,but don't have much images,but just remove the ''newer'' stuff. so at the end a lot of things happend,but not much is done. So you have been busy then! It's lovely to see you talking about your models again and I think you have done a lot except that it did not come out as you wished. No fault of yours. And you have been buying again - lots more to do during those 3 weeks! That's a lot of expense with all that useless varnish, Thijs, good job you got some of it refunded. 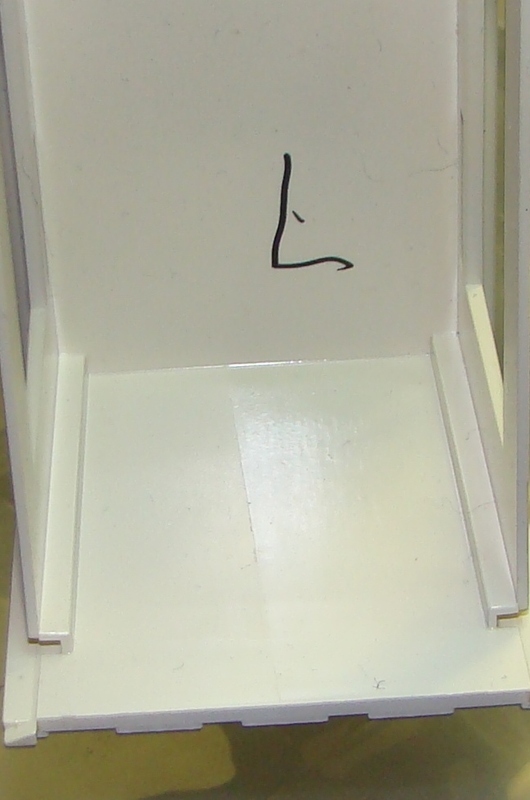 But that motip certainly is not good, there are more wrinkles or cracks down at the bottom as well. Fingers crossed that the cheapo will be OK. 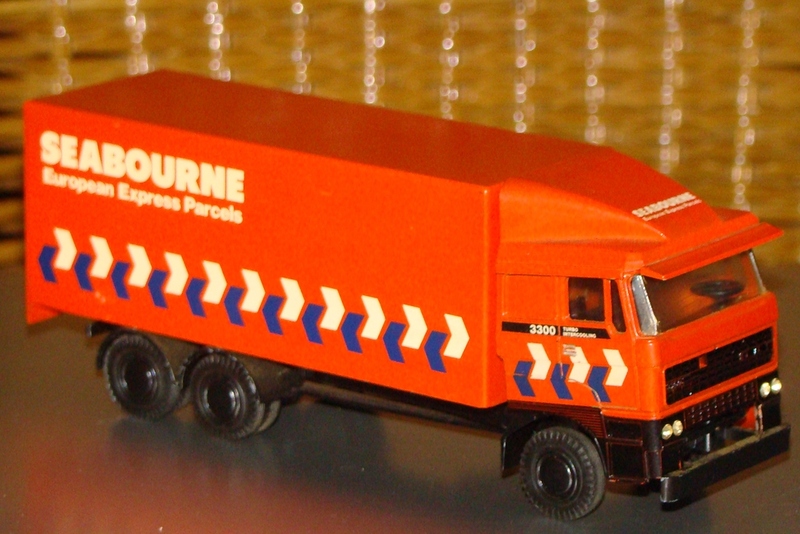 I had to Google truck-pull trucks, are they just for sport? To link: you'd already got the location by right clicking the post number, all you need is to click the big blue A above the post you are writing, then in the 4th box from the end of the icon row click the first link symbol. Paste your link in there, then OK.
Last edited by wherrygirl; December 8th, 2013, 10:27. I forgot to remind you to highlight a word in your post before you click the link symbol. In your post #275 you could highlight "problem". Then click the blue A, click the link symbol in the icon row, paste the link you got into the box, then OK.
PM if it goes wrong! the PULL,but this team there meancourse is the show,trying how far they can torque there chassis,every time they try. 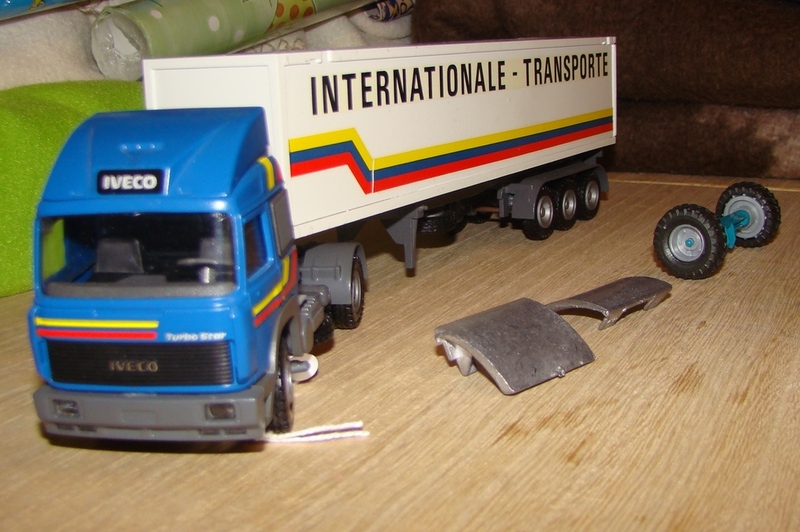 and the truck of Team Iveco Schouten, (Post 5) which i made of in a former livery. Last edited by janihudi; December 8th, 2013, 18:51. Hi both - it is peculiar - doesn't do what I'd expect. But, what worked for me was the following - with curly brackets where the square brackets would be. I hope it's OK with both Thijs and Ivy, but I've removed our conversation about how on earth to post Youtube videos on the Forum from this thread. At least on my machine I can now see Thijs' videos in their post here - mental note, don't click on 'play' with the speakers turned up!! I want to link to this post which is #287, OK? Hmmm - so with that knowledge, can you rescue me from my problem with the link in Thijs' post! Now I've got the videos working, the blinking straightforward link doesn't want to work for me! Oh - I suppose it's sort of working - it's the old right page vs right quote thing. Annoying. stupid forumhotel,just can't get it,i missing a point here. Last edited by janihudi; December 8th, 2013, 20:55.